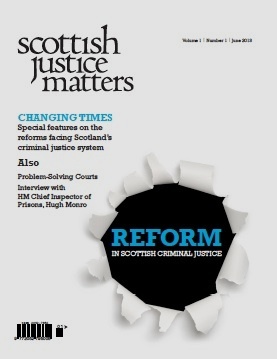 Following the publication of Responses to the Redesigning the Community Justice System: A Consultation on Proposals in July, the Scottish Government has now published a report on the consultation process and workshops, together with an analysis of the responses. All documents are listed at the foot of the post. The SG held a debate yesterday on redesigning community justice, attracting some criticism of the timing, just two days after the closure of the consultation. During the debate Kenny MacAskill indicated that he expects to make an announcement in late 2013 on the way forward with a view to provisional implementation from 2016. The following motion was passed. Criminal Justice Bill: latest headline round-up. Bonomy review consultation published on corroboration and safeguards. Comments Off on Criminal Justice Bill: latest headline round-up. Bonomy review consultation published on corroboration and safeguards. Post-corroboration safeguards review group (Bonomy) Includes links to consultation, response form and academic expert group report. “Built on Hope” Holyrood.com Interview with Lord Hope containing the remarks reported on below. Prison visiting committees – what next? Second consultation closes. The responses to the Consultation on draft Public Services Reform (Prison Visiting Committees) (Scotland) Order 2014 have been published. standards required by the Optional Protocol to the UN Convention Against Torture. If the recommendations in this report are implemented Scotland will in future have a robust system for independent prison monitoring which, taken along with the new provision for independent police custody visiting, will place Scotland in the front rank of jurisdictions which have made provision for independent monitoring of places of detention. “Firearm Certificates Statistics, Scotland, 2009” Scot.Gov. “Firearms Certificates Statistics 2008” Scot.Gov. “Firearm certificates statistics 2007” Scot.Gov. “Firearms Statistics Scotland 2006” Scot. Exec. “Firearm Certificate Statistics 2005” Scot. Exec. “Firearm statistics for 2004” Scot. Exec. “Figures on firearm certificates”Scot. Exec. HMIP: HMP Greenock Inspection March 2004. “Review of Fatal Accident Inquiry Legislation (November 2009)” Scot.Gov. “Review of Fatal Accident Inquiry Legislation (November 2008)” Scot.Gov.